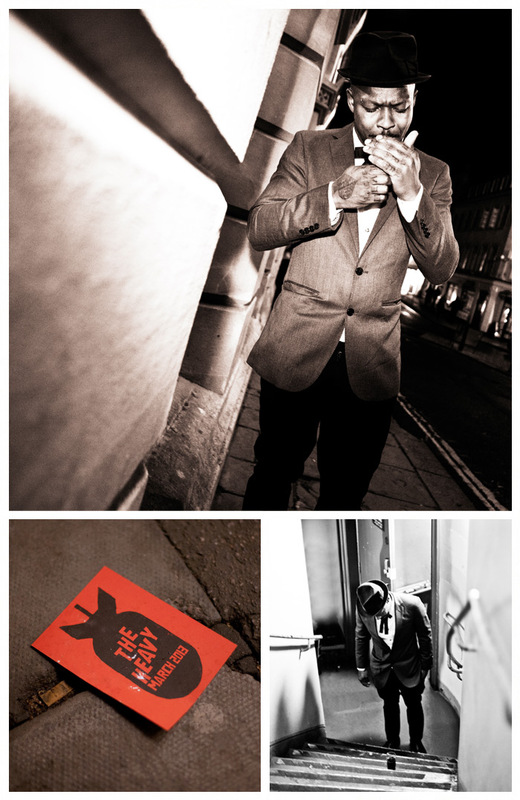 Art direction for this shoot at The Heavy‘s first date of the 2013 Europe Tour with photographers Lee Niel & Guy Joynson. The aim was to capture the build up to the gig and get some classic portraits. These are a few brand logos i have created. 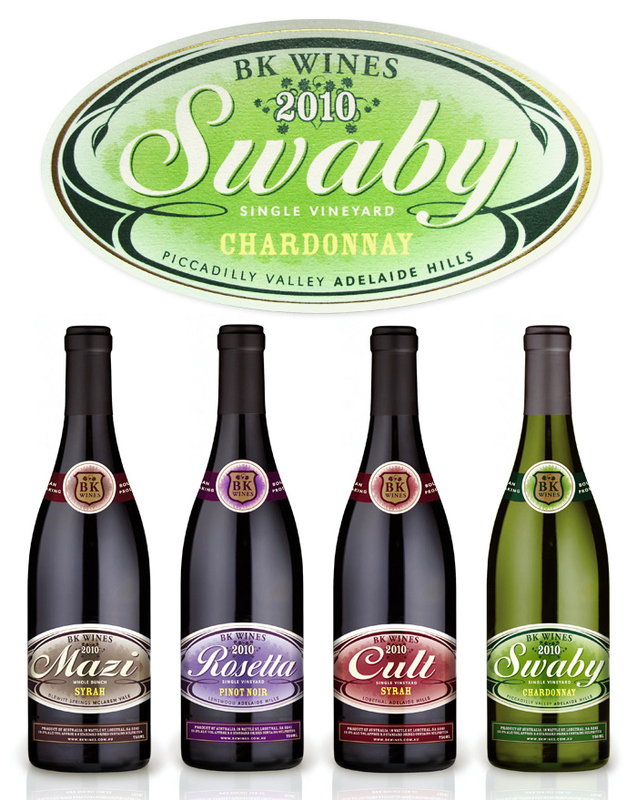 Australian vineyard making small batch handmade wines. My job was to give the range a strong identity on the shelf and bring a modern twist to a traditionally made wine from the label design. 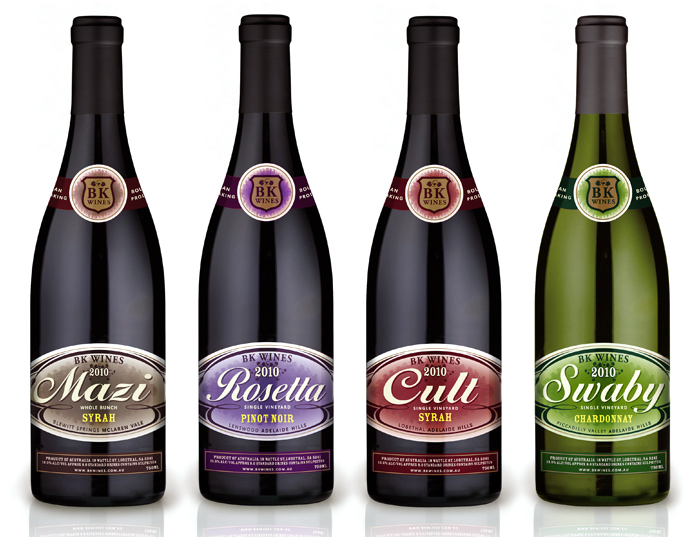 Also design the website with the new brand look www.bkwines.com.au this is done using wordpress as the platform. A small selection of logo’s i have designed recently, ranging from corporate to music. 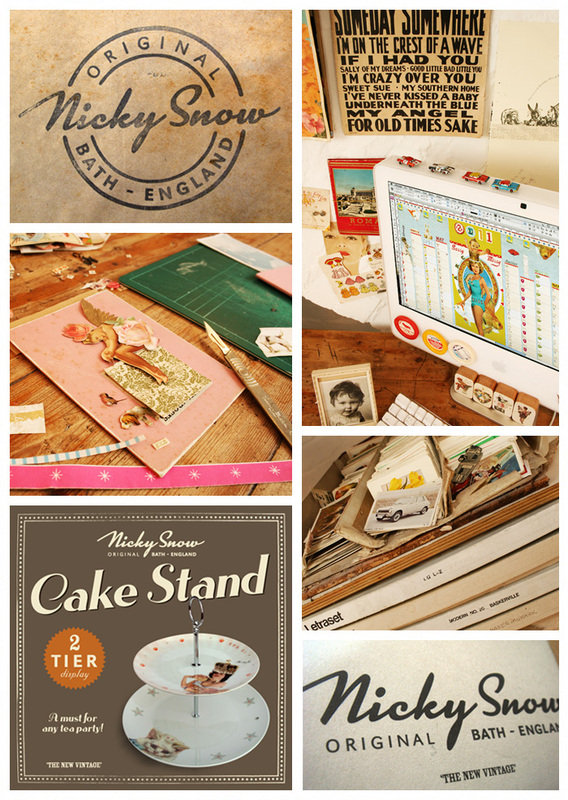 All my logo are designed with the business or individual in mind and work properly in print as well as internet. 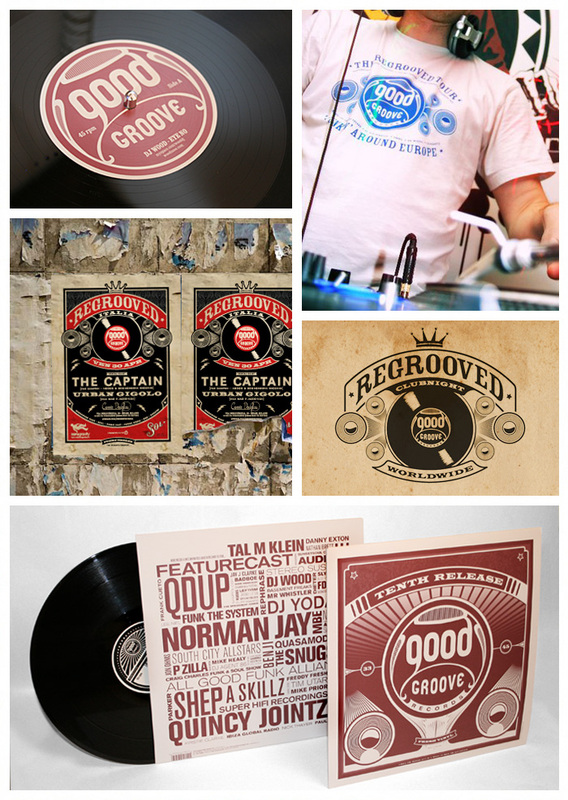 A vinyl based record label with events running around the world. I design all graphics and develop the brand for events as well as releases. 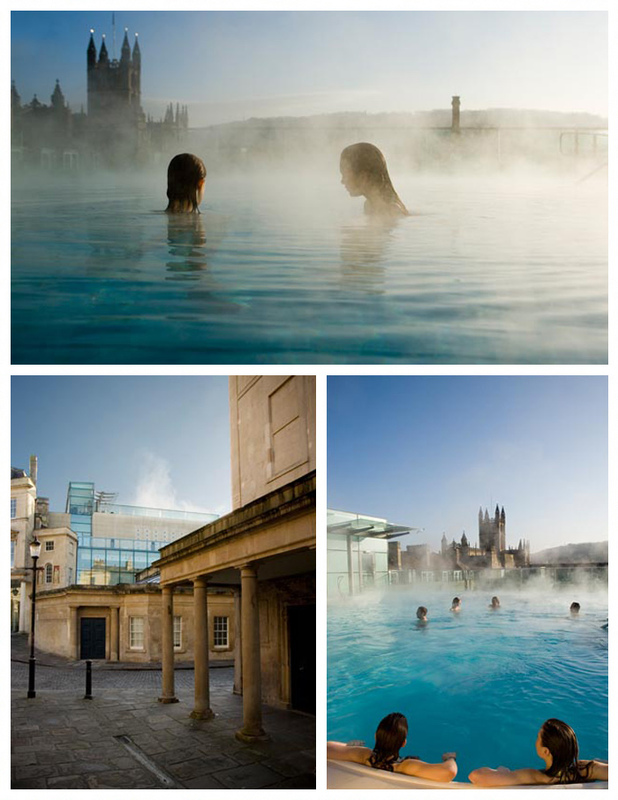 While working as Art Director at Kerve i was responsible for all the creative and design needs of Thermae Bath Spa. This photoshoot was to capture the view from the rooftop pool and show the warmth of the naturally hot waters. 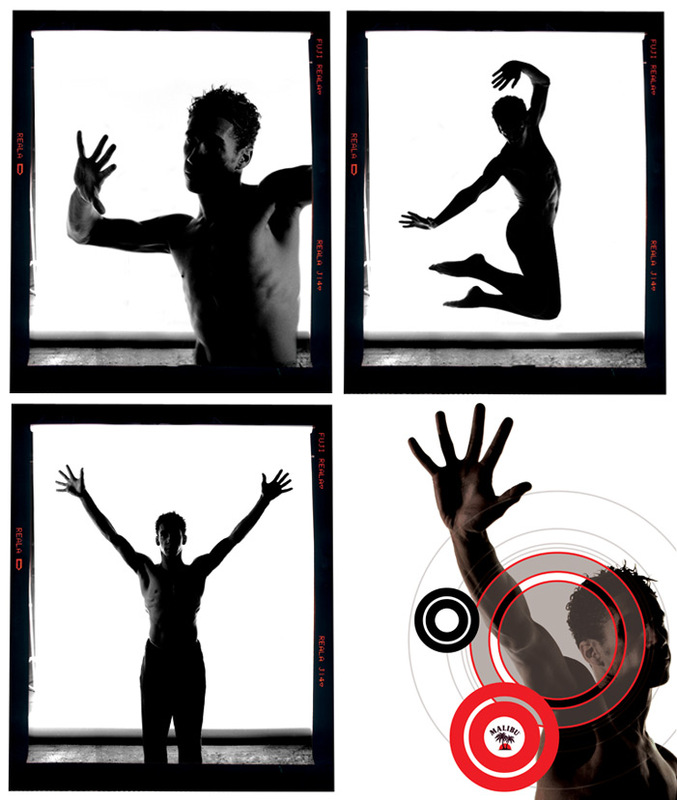 Lee Niel (Photographer) and i did this at 7am one winter morning. 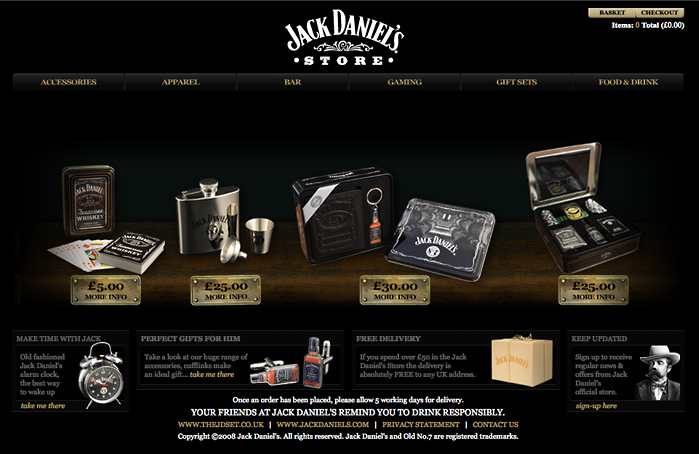 This flash based site sells the whole online catalogue for the Jack Daniel’ merchandise in the UK, it required a design solution that was expandable as new products are included or removed. 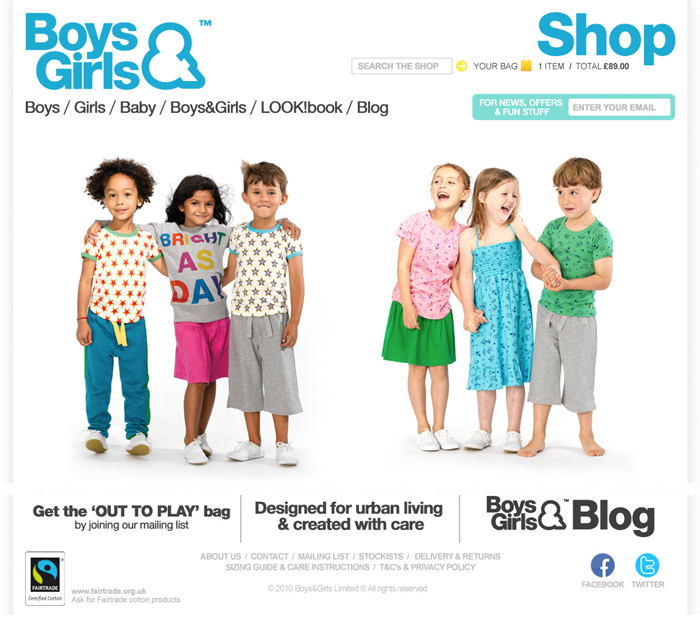 Completed while working as Art Director at Kerve Design. 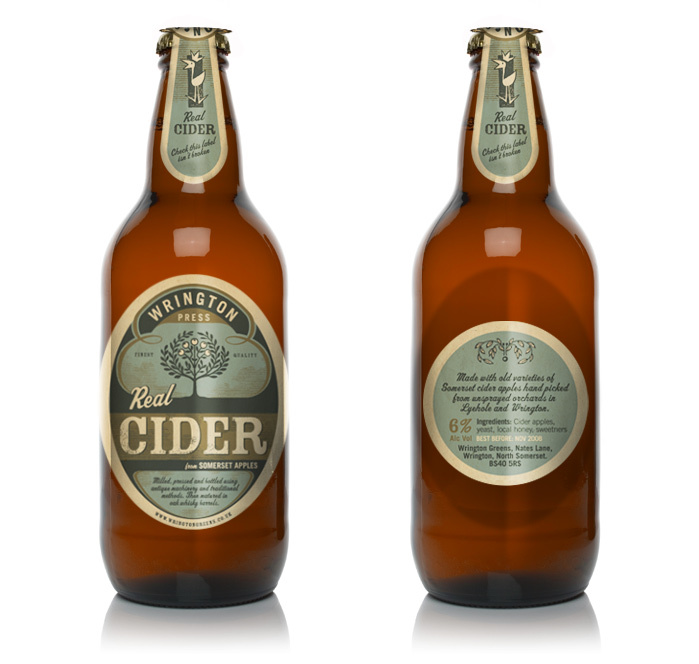 On this project i designed and artworked the cider labels and Wrington’s apple juice labels. The cap cover and matt Gold inks gave it a traditional look and feel. ‘New Blood’ is an exhibition showcasing the cream of graduates from the previous year. 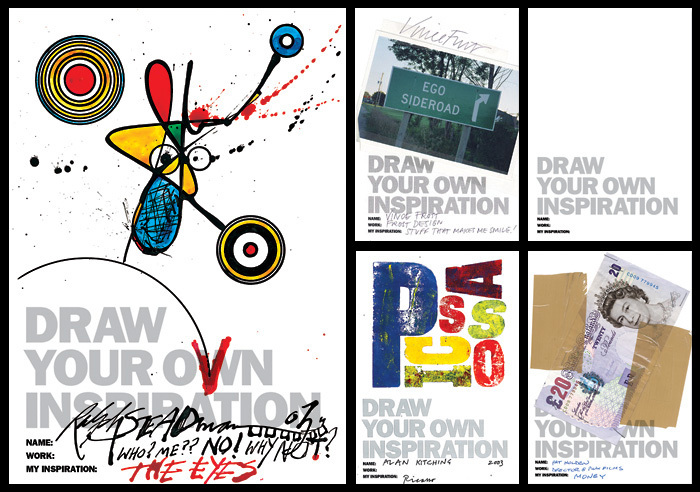 I worked with Quietstorm to create the concept ‘Draw Your Own Inspiration’. This simple idea staring with one blank card became a huge collection of art from names including Ralph Steadman, Alan Kitching and Vince Frost. 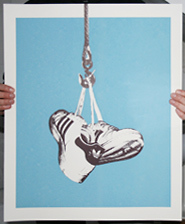 We use the artworks as the marketing for the event.